Fans of lunch pickup services like Killer Sandwich and Lovin Box may be interested to hear about this new lunch service from Leaves Catering, which is extremely keenly priced and also benefits good causes. Order your lunch by 4pm on Wednesday, via Twitter, Facebook or email. Collect your lunch from the charity shop of choice at Thursday lunchtime. This week they’re in the Gorta shop on Capel St, and you still have a few hours to get your order in. 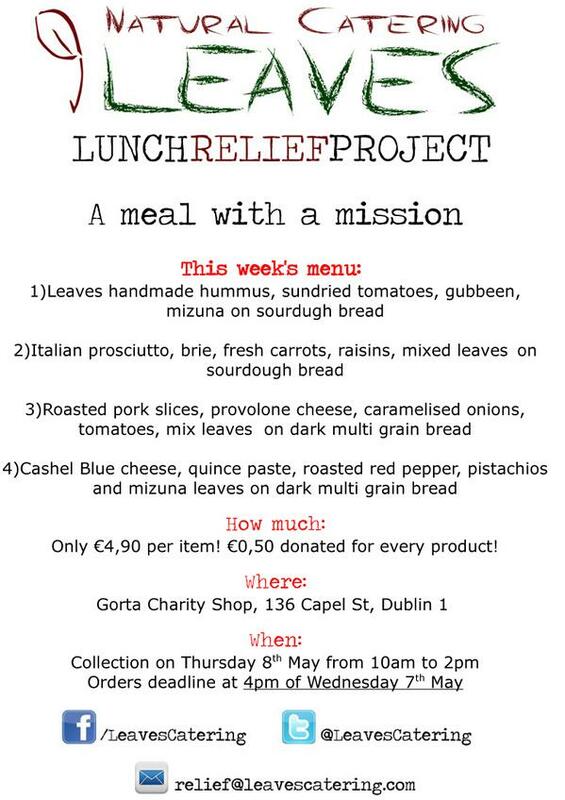 I really like these lunch pickup projects – it’s a nice way to try something new, and more importantly, it’s a great way for small Irish businesses to build support. I’ll be getting myself down there tomorrow to try that there fine-lookin’ hummus sandwich, and will report back once I’ve scoffed it. What do you think? Do you like the sound of this? I wish any of these groups did a drop outside the city center. Ideally Blackrock if they are taking notes!! They all look delicious. Sabine from Leaves Catering here, Lunch Relief is our project. Thanks for your positive comment, we are taking notes! We have plans to expand our service, first within Dublin and hopefully after to places closer to where you are based. Until then, depending on the size of your order, we could consider preparing a private or corporate catering for you. 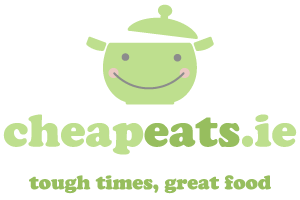 You can always chat with us at info@leavescatering.com about our Lunch Relief project or any other food related queries. Gotta say, I had one of the killer sandwiches and it was underwhelming. Like the look of this service, tho, and love the fact that a few cents go to charity.